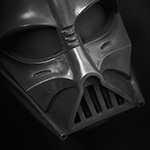 Post subject: Next Black Series Helmet: Vader? 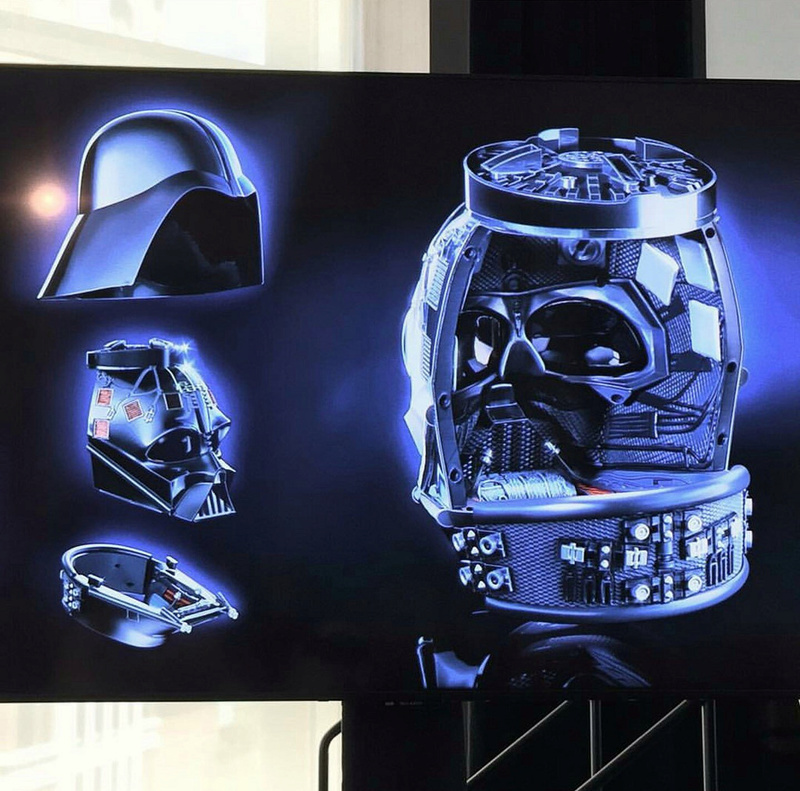 Do you guys think the next Hasbro Black Series helmet will be a Vader? If yes, would you prefer a AHN, ESB, R1, or generic/symmetrical? Well I suppose if they actually do it, they are going with Rogue1. However its gonna be a very generic version of it I'm sure. What I really want to see is if Anovos is gonna release the R1 stormtrooper helmets. Or any other company for that matter. If Hasbro does make a Vader Black Series helmet, they had better not put a voice changer exhaust port in the back of the dome like they did with the R1 stormtrooper helmet! I pre-ordered the R1 Stormtrooper, and for $80 it is surprisingly close to the R1 screen version. But there's certainly room for a higher-end offering from Anovos or eFx with better accuracy sans voice changer. If Hasbro does release a Black Series Vader helmet, I would expect it to look better than the Rubies Supreme. It may come down to whether Hasbro can create a design-for-manufacture with low unit cost. But I certainly think there's a market for it. Based on the way the Hasbro stormtrooper helmet is constructed, I believe it would be symmetric. And probably have plastic mesh and tusks with a dome that snaps semi-permanently in place. I dont know man... How much better can a company make a Vader helmet at that price point. I think the Rubies is as good as it could get at the $100 vicinity, and I would assume Hasbro would want to be under that margin and offer the voice changing system. anything above the Rubies would be the EFX precision cast which I think its pretty great for what it is but maybe a touch over-priced, but they can get away with it due to its accuracy ( for what it is). 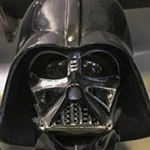 The big question is: "How do you slot a Vader helmet between the EFX PCR and the Rubies"? It might come down to production methods and efficiency. 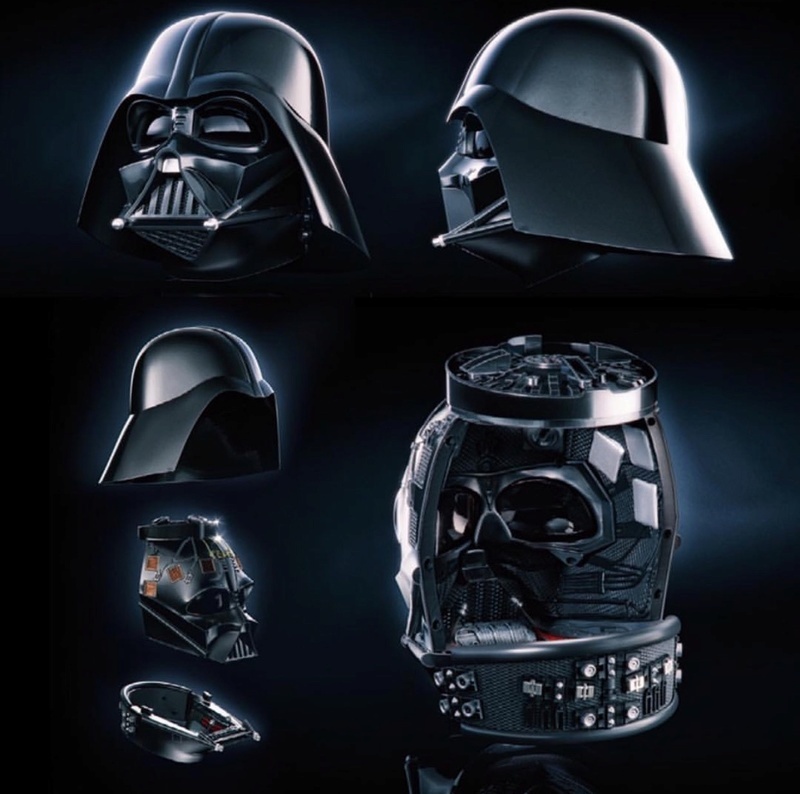 And if anyone can figure out how to make a good Vader helmet with a price point around $150, it would be Hasbro. They product and production design team is top notch (elite) for what they do - which is make toys. If they do Vader it would be interesting if they would do a symmetrical version the way I did mine. I can't see Hasbro making an asymmetrical helmet. But who knows? Yes it would definitely cost £150 , but they of all people could pull off a. Eternal version than the rubies deluxe. The Poe dameron helmet looks good and the recent black series stormtrooper was very interesting compared to screen copy version both size wise and final " look"
Wonder if I should contact them with my model or at least guide them to do averaged symmetry rather than mirrored or frankensteined symmetry? It's interesting and getting allot of buzz over the internet. My gut feeling it is a proof that has been photoshopped to death, but ultimately the shape and mounting is wrong. But and it's a big but. It depends on price point and how easy it is to mod it to look better for us that like accuracy.